Exercising is the perfect way to stay fit as a fiddle. But not many people can regularly stick to an exercise regime due to various reasons. Business people who often travel or even people who spend time on vacation would not like to skip workout regime. But carrying the dumbbells is not an easy option for everyone. What if there is a portable and very lightweight exercising instrument? This is where the resistance bands come into the picture. The resistance band adds support to your workout regime. As simple as its name. 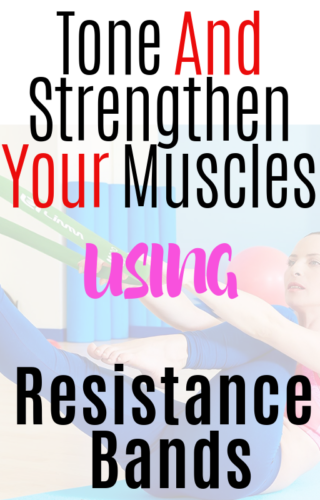 This resistance helps in strengthening the muscles. Find other pros of using the resistance band at home or at any place of your choice and convenience. These bands can help in toning and strengthening the muscles. You can manage tension intensity levels based on the level of stretch you create with the band. The more you stretch, the requirement of the resistance is higher. When you need to move up with the higher level of difficulties in the exercise, you can rely on the resistance bands. For instance, if you are into pull-ups, and the intensity is high, just attach the band under your foot or arm. Then carry ahead with your workout. The band ensures your body weight is supported, and the exercise is now easily done, and you can move over the unassisted version. For those who do not have enough stability and mobility while exercising, the stretch bands are great options. The band can be moved towards or off from the body. This helps in deepening the stretch, which allows an improved range of motion. The resistance bands for the home are meant for everybody. They are not dependent on the gravity to offer the resistance, and the range of motion can be improved for all body types. Even for people who are down with injury due to sports or activities, the resistance bands come handy. 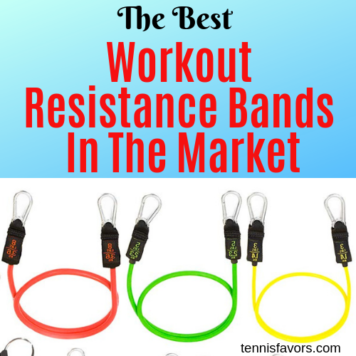 This is because strenuous exercises are made easy when these bands are used. This is an option for you to stick to the fitness regime even when on the go. This can help you keep fit, and can be carried anywhere. If you travel by flight, car or train, there is no excuse to leave this band. The resistance bands are not only travel-friendly but also wallet-friendly. They are affordable, and you can get them for somewhere around $5 to $10. You need to however choose these bands based on the intensity and severity of the exercises you do. Find here 6 resistance bands you can count on for use at home or when you are on the move. 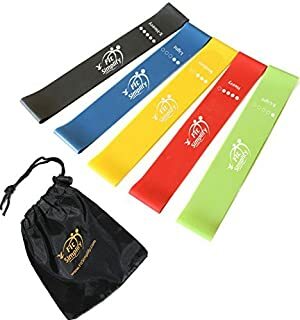 These bands are great for the lower and upper body moves as the resistance range offered by it is from 2.4 -21.3 pounds. If you are sensitive to latex allergies, then TheraBand is a good option. These bands increase motion range and in the rehabilitation of muscles. The price tag is quite affordable and comes under $15. If you are concentrating on the areas like hip or waist, then you can find this band coming handy. The core muscles are strengthened when you use this band. These are small closed loop bands and can be used to enhance your shoulders too. This band comes as a set of four bands. They vary based on intensity as – light, medium, heavy and extra heavy resistance bands. You can buy the pack of 10 bands at just $18. For different resistance levels, the Fit Simplify Loop Bands come in a set of 5. If you are a beginner and want to gradually increase the resistance, this is an excellent option. You can access the videos and instruction manual to get to know various exercises you can perform with these bands. These bands are meant for the pull-ups. When you want to find the perfect way to strengthen your muscles with pull-ups, then you can go for these bands. 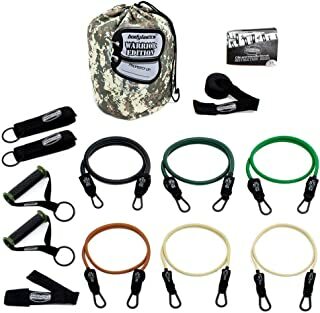 From the levels ranging from 5 to 35 lbs, 25 to 65 lbs, 35 to 86 pounds, and 50 to 125 lbs, the bands are available in colors of black, purple and green. These bands come with an affordable price tag and are famous for their construction. The price tag is under $20 for the set of 4 which I find to be totally acceptable. The band can be used by both men and women and can be used by people of all fitness levels. The band can be used in different degrees. And each muscle group of the body can be benefitted by this resistance band as a result. How to find your fitness level here. The ankles, hips, back and arms and shoulders can be improved and strengthened when using this resistance band. This band also is useful for people who are under rehab or recovering from a sports injury. It will cost you around $18. This is 14 pieces set for the people who are into exercising for a longer time. In short, for the people who are above average, this is a good option. It can offer 142 pounds of resistance to the maximum. There are heavy duty handles and straps for the ankles. Connected by a loop, 2 bands are offered. This means to pull weight, each arm can use the bands. This can sustain a year of tough use. Offering 100 pounds of resistance, this is a sure shot way to improve shoulder and arm muscle strength. The band provides 6 resistance levels and comes with an alluring price. When you are all set to buy these bands, look for the tension level, length, and style. The style decides the exercises you can do with these bands, and the tension level classifies the level of resistance offered. If you want to maintain the right form, the length of the resistance band becomes the deciding factor. All of these bands and more can be bought from Amazon or any other online store of your Choice. Click Here To View Any Of The Products Above.